What comes to mind when you hear the phrase “separate but equal”? Maybe you’re back in history class learning about Plessy v. Ferguson or maybe someone like Martin Luther King Jr. comes to mind. But in this case, what I’m actually referring to is your personal finances. For those of you that don’t already know, I’m a huge finance nerd. I could spend hours listening to debt free screams on the Dave Ramsey Show and I’ve definitely danced around my house to Dee-1‘s music video on more than one occasion. All nerdiness aside, it might come as a surprise that my husband and I use a mix of separate and joint accounts, or a hybrid if you will. For many reasons, but let’s back up a minute. Jon and I have been fortunate enough to be gainfully employed through the entirety of our relationship. However, we each came into the marriage with different amounts of debt, mine being the larger of the two. By like, A LOT. When discussing how finances would work after we got married, we decided that we’d both contribute an equal percentage of pay to the joint account to cover living expenses. Think housing, groceries, internet, insurance, etc. This idea alone is one that many people may never think about. But this way, it doesn’t matter who makes more money, because we both contribute in an equitable fashion. Meanwhile, the bills that we acquired prior to being married would be the sole responsibility of that person. This meant that I wasn’t paying for my husband’s motorcycle that he barely rode and he wasn’t paying my massive student loan debt. Or those pesky credit card bills that I wracked up in my early 20’s. We are a team, no matter how you slice it. After returning from our honeymoon we knew our goals were to pay off debt and save for a house. The first step we took was enrolling in Dave Ramsey’s class Financial Peace University. (I cannot speak highly enough about this class!) It helped our (then) new marriage and paved the road for us to win with our finances in the years to come. This is where we learned to budget with success and talk about money without feeling shame, guilt, frustration, or resentment. However, Jon and I are still two very different people. While I’m very much the person who jumps all in when I do something, Jon takes a bit longer. Case in point: While taking the FPU class, I decided to sell my SUV and “downgrade” my vehicle. This not only cut my total debt, but it freed up over $300 a month in my budget. Even though Jon completely supported my decision, he wasn’t ready to amputate his Mini Cooper. And the beauty is…there were no hard feelings involved — because we each had our own debt payoff plan, and that allowed for us to be individuals, while still working towards common goals. I know Dave’s philosophy better than anyone, but I also know there is no one-size-fits-all approach to budgeting and finance. What’s right for my husband and I is not necessarily going to be right for you. And that’s the beauty of it. At the time of writing, we’ve been budgeting this way for 7 years now. Seven. S-E-V-E-N. You can be certain that in that time frame our budgets have changed drastically! But that main thing is this: we’ve been able to each pay off our debt, save for a down-payment on a house, remodel the aforementioned house’s kitchen and bathroom, and take fabulous trips all while paying with cash. And those are just the main highlights, so I’d say we’re doing pretty good! 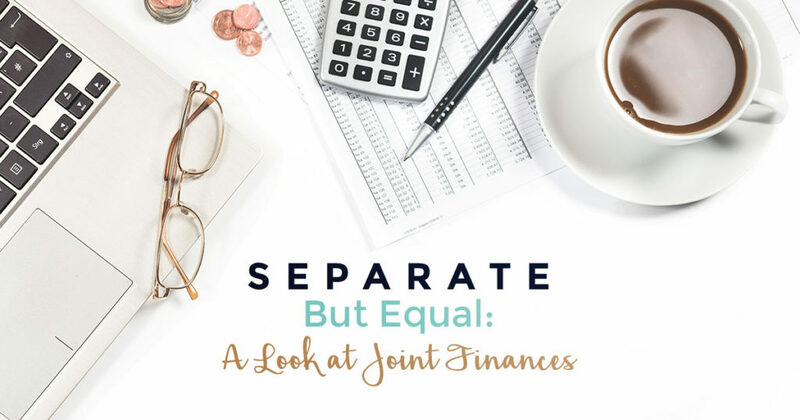 With all of that being said, I came across a blog post about joint finances — and the more I read, the more incensed, heated, downright pissed I became. One for the misinformation presented and two, for the ridiculous level of judgment and condemnation in the post. But I digress. If you wish to read more about marital debt, feel free to check out this post by Nerd Wallet, this post by Bankrate, or even this post by Lifehacker. Another statement that I found uber annoying was the assumption that people who have separate accounts never talk about their finances. I can guarantee my husband and I talk more about finances by using our hybrid approach than if we just threw everything in one account. Why? Because there’s nothing magical about the accounts. It’s about being intentional and having a plan. To me the secret sauce is the budget meeting, going over the upcoming months’ expenses, and taking the time to talk with your spouse. Can you do those things whether you have a single joint account or separate accounts? You bet. So please don’t assume that my husband and I “don’t want to fight about money” and that it’s the only reason we have hybrid accounts. Um…are these people for real? I mean, I literally just read that and thought “you’ve got to be kidding me”, although I might have used a different word in my head. 😉 Maybe I’m just hallucinating because I’ve been staring at a computer screen for far too long, but the last time I checked it was 2018. Since when did becoming married mean that you have to join everything together or else your marriage is doomed? Or better yet, if you don’t join your finances it’s because you’re a big baby who refuses to grow up. I say it’s about time to quit the name calling and shaming. After teaching for 13 years, I know that students aren’t going to open up and learn from you — unless you make them feel safe and respected. So enough with the judgment. On that note, I’d love to hear from you. When it comes to finances, which approach is right for you? Separate but equal, or together is always better. Teacher by day, adventurer by heart. Loves coffee, craft beer, books, my hubby and my tiny dog. Forever dreaming about my next trip. I completely agree with you. We are a separate, but equal couple. John and I have always had separate bank accounts, but one joint account for household bills (mortgage, electric, phones, vacations etc…). We pay our own car insurance, car payment and credit cards. Also, I pay for our health insurance while he pays for weekly groceries. Then whatever money we have leftover is our play money for gambling and shopping. Thanks for reading Kelly. It’s always nice to hear that other people do something similar as I typically hear the complete opposite. 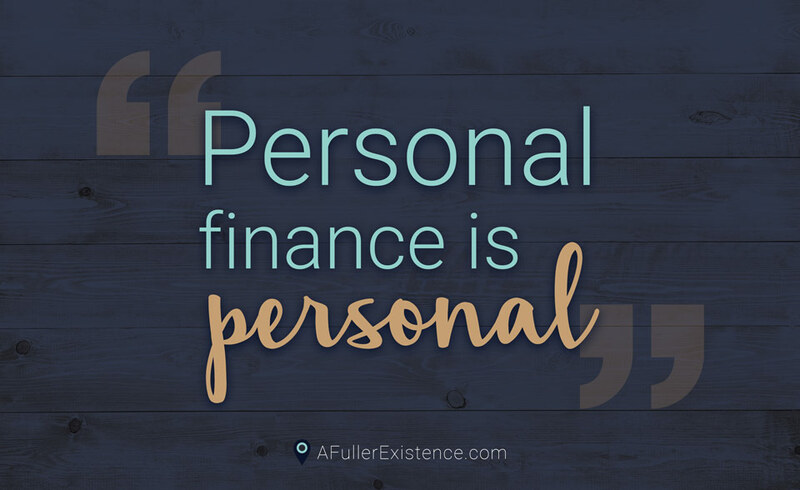 Like I said before…personal finance is personal. You need to find what works for your household. Great Read Alisha. My husband Sam and I have separate accounts and pool money for bills too. Having separate accounts has given us the ability to plan, save and pay down our debt. We started before we were married and it has been wonderful. I like your suggestion for a budget meeting. We then can go over everything. it seems this would keep us both on the same page. thank you for the tips. i look forward to your next post. Thanks for your input, Gina! I’m glad you and Sam found a way to budget that works for you too.